With the 1.8 we will have 2 PVP gamemode. 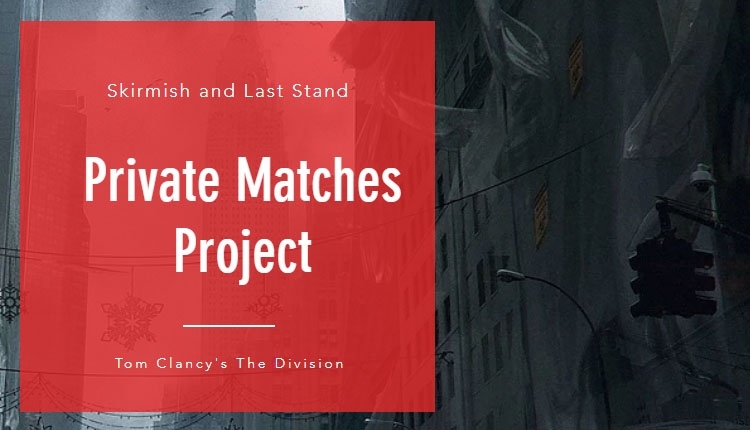 With Skirmish and Last Stand we can have the chance to ask Ubisoft, Massive and Redstorm to implement private matches into the game. This will open the game to fun and competition. With private matches, tournament and other event can be created by the community. A website and a Discord are there to reunit all the player interessted to this idea. You can show your motivation on our petition, discord and on the Ubsioft forum. Create PRIVATE GAMES into the Tom Clancy's The Division. The The Division Private matches petition to Ubisoft was written by Zahnki and is in the category Gaming at GoPetition.